DONEGAL traffic wardens are among the first in the country to be kitted out with personal CCTV cameras. 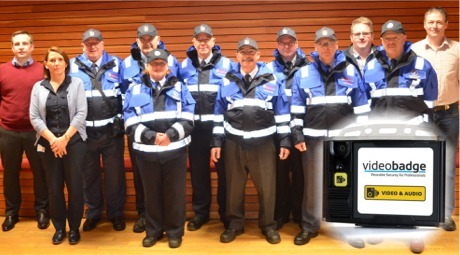 The personal safety devices are part of a new warden uniform and are designed to de-escalate potential conflict on the beat. Donegal County Council has wardens deployed in six towns - Letterkenny, Buncrana, Ballybofey, Ballyshannon, Donegal Town and Bundoran. They issue parking tickets and on-the-spot fines for parking violations. "Whilst this technology is widely used in other European countries including the UK, Donegal County Council is one of the first local authorities to introduce it here in Ireland," said director of roads and transportation John McLaughlin. Donegal traffic wardens pictured in their new uniforms. The CCTV cameras are mainly for the personal safety of traffic wardens carrying out their duties. "These devices will not be operating on a continuous basis, however, if a traffic warden finds him or herself in a situation that could result in some form of confrontation they can advise the other person or persons that they are turning on the device to record proceedings. Traffic wardens have been trained in using these devices and there are strict rules in place prohibiting the filming of children or minors," he said. “Most traffic wardens are working on their own and this device is about ensuring their personal safety while doing their job. We hope that it will not be needed too often but it is there as a safety precaution." The council said that research shows that CCTV warden cameras act as a deterrent and help de-escalate conflict. So the advice is don't snap at the traffic warden - they might just snap back! Members of the public can contact the parking section by emailing parkingsection@donegalcoco.ie or by calling 074 91 53900.